Home > Campus News > Start Well to Get Ahead! 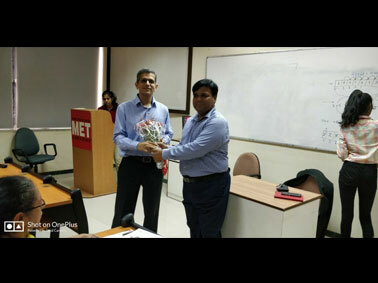 Mr Mandar Mhatre, Founder - Digital Lending Pvt Ltd recently visited MET Institute of Computer Science for an interaction on entrepreneurship with MCA students on ‘how to start the start-ups?’. The session was interactive with lots of questions from his end which was helpful in motivating the students to come up with their ideas of new products. 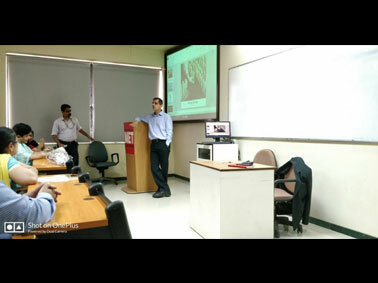 The speakers also spoke about the prerequisites of starting a business and running it in a profitable manner. All this was explained by discussing start-up stories of Paytm, Fresh menu, Flipkart, Ola, Uber, Swiggy as well as his own journey. He concluded with a word of advice for the students that, instead of being job seekers they should become job creators.... now that’s a serious business!